When Bud Gamba got out of the military, he needed a job. In 1975, he picked up a set of knives and started Bud’s Custom Meats. 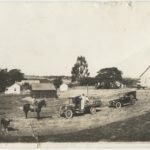 While this was the start of the Penngrove butcher shop, it wasn’t the first time the family had been involved in the meat industry. Before Bud’s father immigrated to the United States, his family had owned a butcher shop in Italy. While the desire to work with knives skipped a generation, Bud reinvigorated the family tradition and passed on his passion to his son, Matt Gamba. 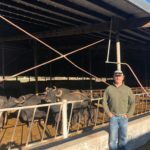 Matt Gamba grew up on his father’s ranch helping out with the family business here and there, but he had a career in the construction industry. He liked working with his hands from a young age and went on to build his own house as well as his father’s. Between construction jobs, Gamba did a 10 year stint at Safeway where he managed his own department. By the end of his time there, Gamba realized he didn’t feel connected to what he was doing. Gamba took over the family business from his father in 1992 and has continued to build a successful company. From the one full time and one part time employees he had when he started running the business, Gamba has built the company into a well-known cut and wrap shop with 14 employees. 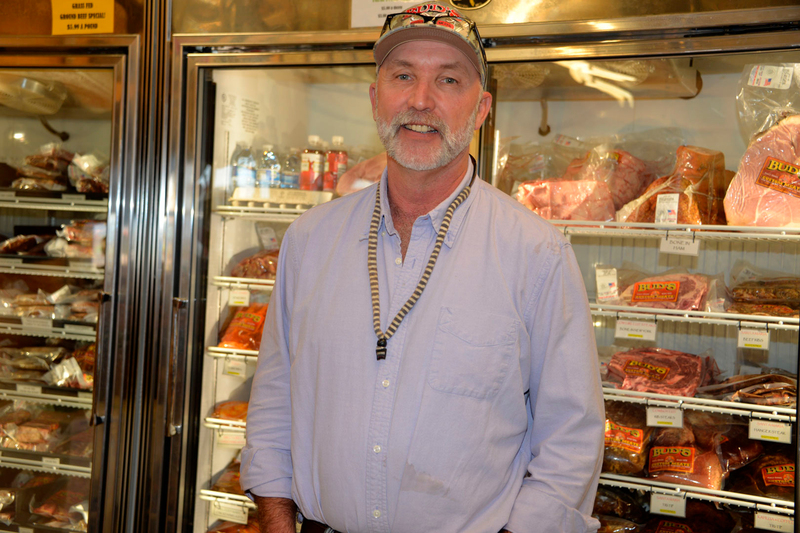 In the last 23 years since Gamba has owned Bud’s, the butcher shop has expanded from just cutting and wrapping local meat to also specializing in exotic meats and selling jerky. Gamba recalls his father telling him that there was no money in jerky, but Gamba continued smoking meat because it was something he enjoyed. Gamba noticed his customers starting to like jerky and watched his store transition into a more retail oriented business. The smokehouse, said Gamba, runs day and night non-stop. Their Cowboy Candy brand of jerky has become so successful that they have recently found a co-packer to help them expand their market and sell out of state. One of their most successful products, they plan to start small and local and work towards selling the Cowboy Candy to a bigger market. In addition to their jerky, they have also seen more interest in exotic meats. Gamba said that his choice to expand into to this market was from a desire to differentiate his local business. What could he do that larger chains such as Safeway and Costco weren’t already doing? Contrary to traditional meats such as beef and lamb that they can source locally, the exotic meats are imported. The majority of the elk and venison they sell comes from New Zealand where the animals are raised on farming establishments that can range from 20,000 to 30,000 acres in size. Bud’s is always coming up with new products to sell on their retail line, with a more recent success being Mediterranean Stuffed Chicken Breast. Gamba said this product is a huge hit and has been very popular among their customers. While the retail side of the business has gained momentum and they place more emphasis on this side, the cut and wrap is still the strongest side of their business. “The best part of doing this is that we have customers from 40 years ago,” said Gamba. For some, buying meats from Bud’s has become a tradition. Gamba’s daughter, Jennifer, is studying psychology at UC Davis. While she has maintained the family’s passion for animals and agriculture, Gamba says he doesn’t expect her to take over the family business. He doesn’t know what the future holds for his company aside from his own desire to keep going as long as he can. However, with multiple employees who have worked for Gamba for more than 16 years, there will always be a future for Bud’s Custom Meats. For more info see budscustommeat.com or visit their retail location at 7750 Petaluma Hill Road in Penngrove.